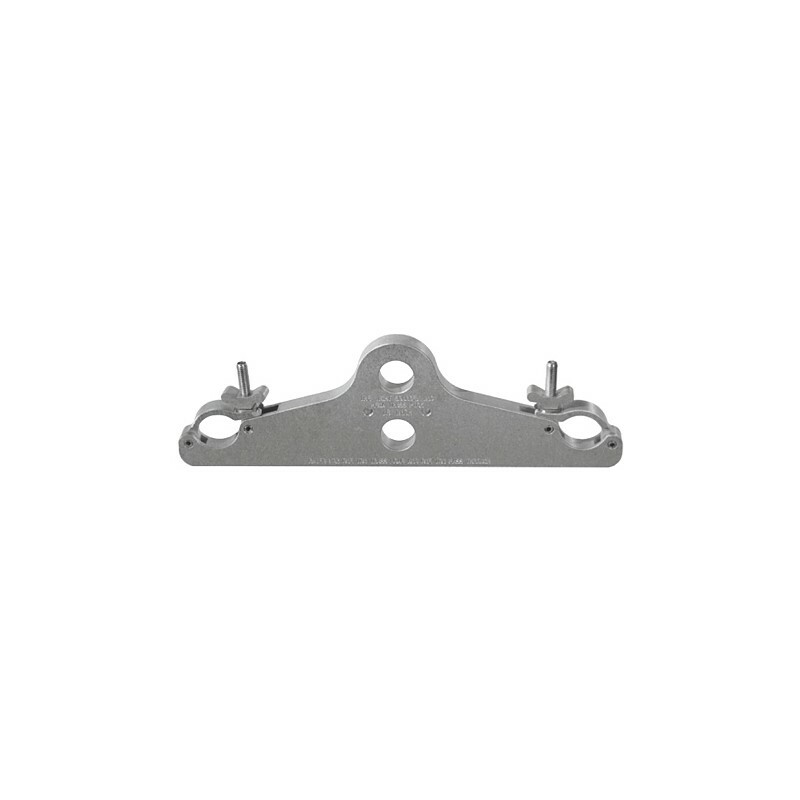 1" x 6" × 19-3/8" 6061T-6 Aluminum CNC machined with pockets to support one piece of 18" truss. 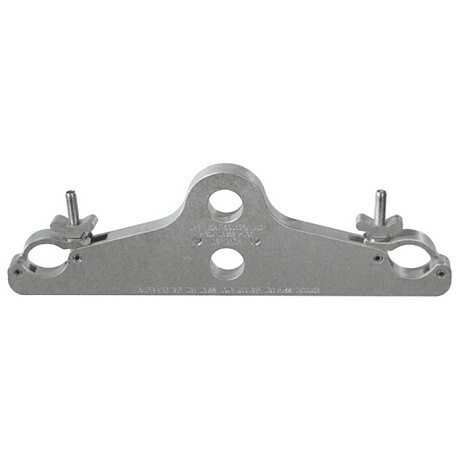 Truss is secured by two aluminum pivoting links, half inch swivel bolts, and solid wing nuts. Has two rigging holes for shackles, motor, or chain hook. The Mega-Truss Pick will suspend one ton of truss, and an additional one ton load suspended under the truss. Weighs less than 5 pounds. Safe Vertical Working Load is 2000 Pounds.